Some believe he’s an enigma wrapped in a riddle surrounded by a question, but whoever he is, one thing is certain: Matt Drudge is not a creator of news as much as he’s a driver of it. On any given day, tens of millions of visitors to his ubiquitous Drudge Report essentially determine the news narrative – what gets attention, what merely gets mentioned, and what gets left unsaid and under-reported. He wrote a book once, “The Drudge Manifesto.” It became a New York Times bestseller, but he hasn’t written another book since. In fact, about the only thing Drudge has consistently done – and done well – is grow his digital media property, The Drudge Report. In recent months he began announcing 1 billion monthly pageviews and about 15 million monthly viewers, an incredible amount for a simplistic website that largely serves as a news aggregator (of largely conservative news/politics). 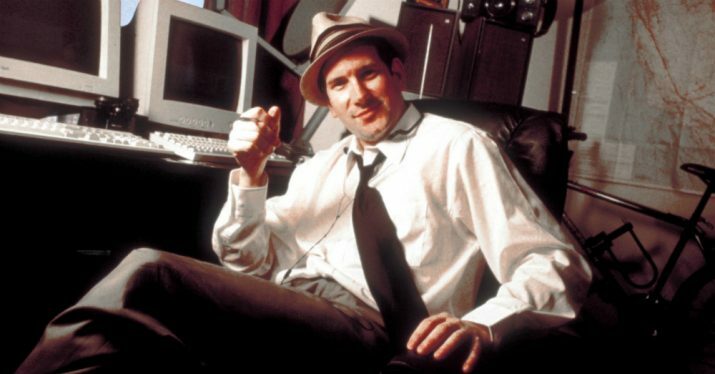 An estimate by Business Insider, using industry ad rates and traffic numbers from established website tracking firms, puts The Drudge Report worth between $150-$375 million, roughly. Based on figures, it’s believed the site earns anywhere from $15-$20 million a year, and with little overhead (Drudge and two other people are believed to be the only three who work on the site adding stories), that means an annual net income of between $10-$15 million, after costs and taxes. One estimate has Drudge personally worth about $90 million. Not bad for a news aggregator. Interestingly enough, Drudge got his start and came to prominence in the mid-1990s during the Clinton administration. After Newsweek decided not to publish revelations that President Bill Clinton had an affair with a little-known White House intern, Monica Lewinsky, Drudge published the scoop, and his path to stardom was established. The report led to Clinton lying – to the American people and to Congress, the latter of which got him impeached by the House, though he was not convicted by the Senate. One of the most remarkable things about The Drudge Report is that the site’s content still consists primarily of original headlines linked to stories elsewhere on the web. This is a highly innovative and efficient media model, one that takes full advantage of the amazing capabilities of the Internet. If he wanted to, Drudge has a very solid base to build out a digital news company that would likely result in two-to-three times the traffic The Drudge Report now receives, making it the Google of news sites, based on traffic and influence. And by hiring a sales force to bolster revenue, no doubt the site would earn tens of millions more per year than it already does. But apparently, Drudge isn’t interested in building his brand even bigger. For now, he’s satisfied just being the driver of the daily news cycle, from the most efficient, high-earning site on the Web. And frankly, there’s nothing at all wrong with that.